The100 Pro is a clean and elegant premium multipurpose WordPress theme that perfectly suits all business and personal sites. This theme comes up with 9+ demo templates and more than 500 layout combinations. And this feature-rich theme allows you to use its plethora of features and functionalities for creating any website in just a few minutes. You can even import demo content right from the dashboard, take advantage of the multiple layouts and customize in the easiest ways possible. Provided with dynamic layouts and tons of customization options, you can use The100 Pro for a variety of purposes and businesses. The theme includes all the homepage sections like sleek gallery and portfolio, featured team section, promo page, about and service, counter & CTA , testimonials and partner, and many more. All these section are simple and easy to customize. Also, you can sort all the homepage sections in your own order with simple drag and drop. The theme is fully responsive, SEO friendly, fast loading, translation ready and secure. Elementor Based Either way you feel comfortable use it, Our theme is elementor compatible. Unlimited Color Options Choose theme primary and secodary color as you like from color picker. Multiple Templates 9 completely unique design templates embedded with theme. Highly Configurable Homepage Enable / Disable and more options so that user can easily manage homepage. Sortable Homepage sections You can drag and drop the section to appear on position or order you like them on homepage. 8 Header Layouts 9 different header layouts fitting in any layouts with many options configuring it. 3 Menu Layout 3 Different Menu layout(Logo at Left, Center and Right). Carousel Slider Options You can load slider from plugins shortcode or from posts featured images. 4 Slider Layout 2 transition effects and 2 caption layouts & 2 overlay options differing with each templates. 3 Widget Areas in Homepage Add any sort of widgets to fit as per design in the 3 sections of homepage at top,middle and above footer which supports widget area. Promo Page Section 2 layouts to display promotion using a page. Featured Section 6 layouts to showcase your featured posts. Team Section 4 different layouts along with background image option to showcase your team members with custom metabox for social links,position. Gallery Section 3 unique layouts for gallery/portfolio showcase with background image option. About + Service Section 5 unique layouts for Multipurpose section with both page and posts showcase, can be used as FAQ section. Testimonial + Partner Section 4 layouts for Multipurpose section to showcase your clients testimonials in slider and your partners, consists both full width and half-width designs. Blog Section 6 Uniquely designed blog layouts, 3rd layout can be used for image gallery too. Footer Section Supports up to 4 columns widget areas. Footer Credit Option to Hide Footer Credit. RTL Compatible Build you site for any rtl language. Social Link Socail icons with link in header. Responsive Design Supports reposive desgin with Enable / Disable option. Inbuilt Widgets 6+ Inbuilt widgets with layouts within them that can help you save your time to achieve different things and layouts. 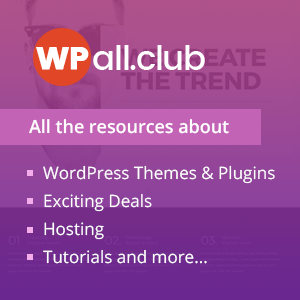 Hey Buddy!, I found this information for you: "The100 Pro – Multipurpose and Multi layout Premium WordPress Theme". Here is the website link: https://8degreethemes.com/wordpress-themes/the100-pro/. Thank you.